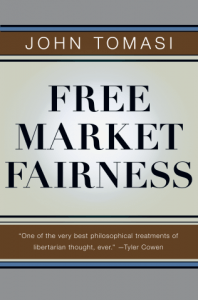 The Spirit of Democratic Capitalism (1990) | Moral Markets? 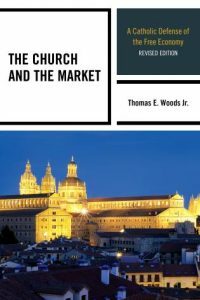 "The Spirit of Democratic Capitalism examines the relationship between capitalism, socialism, and religion, and argues that the benefits of capitalism need not be bought at the price of spiritual values." "The author must be credited with a major achievement. He set for himself the task of articulating a moral theory and a theological base for the implicit ideals of democratic capitalism. His success is to have made a credible, compelling, intellectually solid and theoretically sound presentation of the political economy of the free society. He shows it to be the spiritually and morally commendable alternative to the collective and compulsive ethic of socialism." 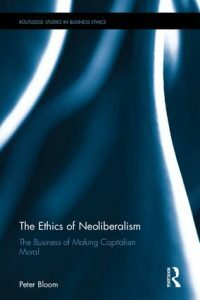 "One need not share Novak’s religious perspective on capitalism to find this book a stunning achievement, but those who have hitherto preferred socialism on religious, or indeed on purely ethical, grounds must now face an argument of immense weight—and one produced by a former fellow believer." According to Wikipedia "Michael Novak (September 9, 1933 – February 17, 2017) was an American Catholic philosopher, journalist, novelist, and diplomat. 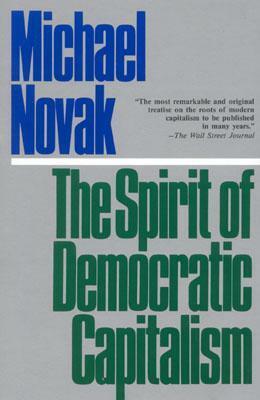 The author of more than forty books on the philosophy and theology of culture, Novak is most widely known for his book The Spirit of Democratic Capitalism (1982). In 1993 Novak was honored with an honorary doctorate degree at Universidad Francisco Marroquín due to his commitment to the idea of liberty. In 1994 he was awarded the Templeton Prize for Progress in Religion, which included a million-dollar purse awarded at Buckingham Palace. He wrote books and articles focused on capitalism, religion, and the politics of democratization."